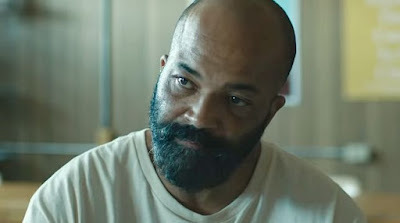 You could put Jeffrey Wright in a toothpaste commercial and he'd be great. His opportunities to headline films to himself are rare, but when they do happen he always knock them out of the park. He'll get another shot next month in O.G., an HBO film in which he plays a man on the verge of being released from prison. O.G. comes with some cred behind it already, having earned Wright the Best Actor award after its premiere at Tribeca last year. HBO is king of the prison drama (imagine if Wright had been in Oz!! ), and this looks like a strong addition to their film slate for this year. Having actual inmates involved should only add to the film's authenticity. O.G. hits HBO on February 23rd.